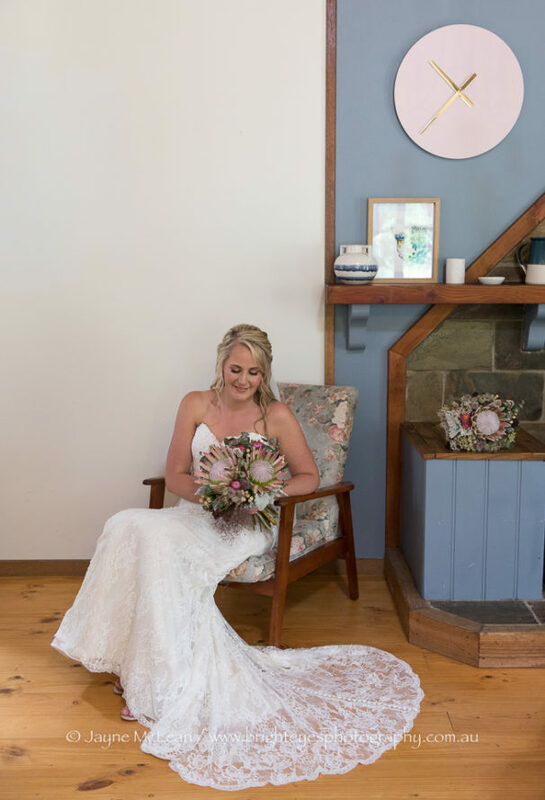 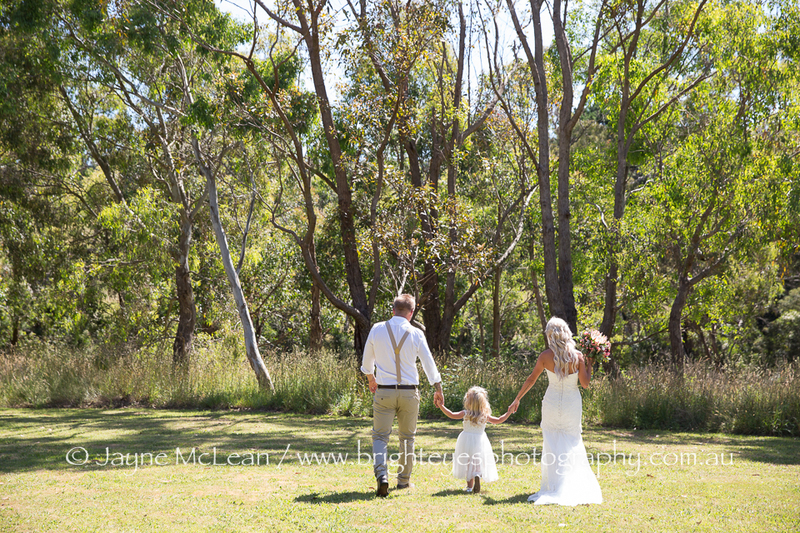 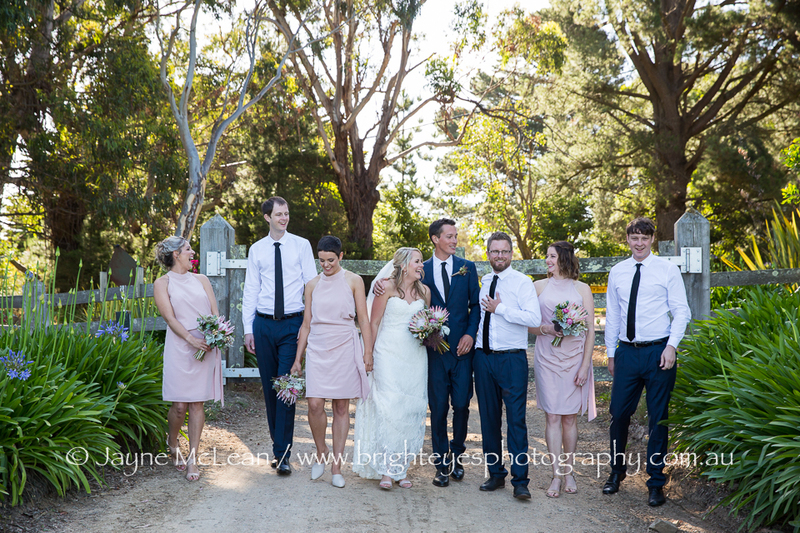 Marley and her bridesmaids got ready at a character filled little cottage in Red Hill. 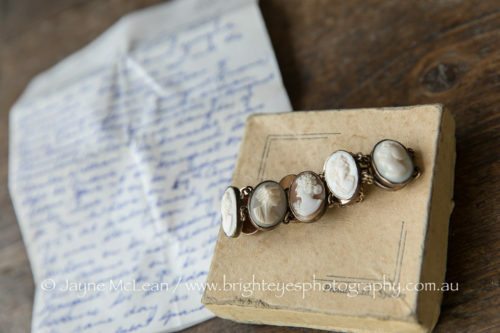 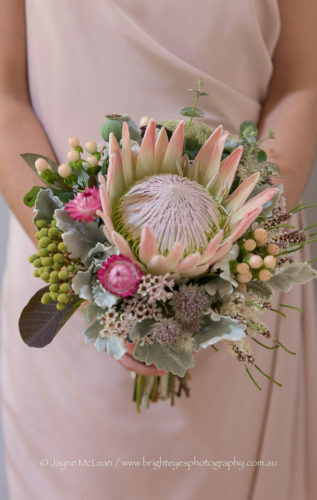 Her “something old” was a family heirloom and was made extra special as it came with a note – every bride in the family that has worn the bracelet has written about when they wore it on the same piece of paper and it was so special and beautiful to read. 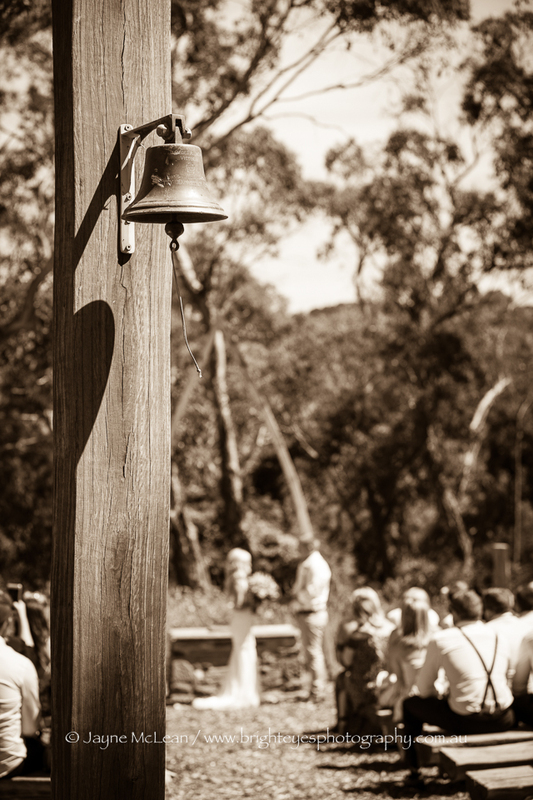 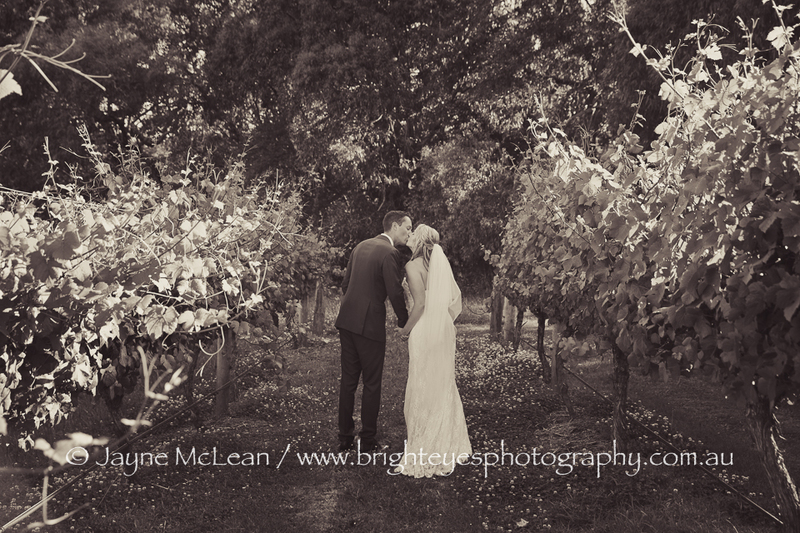 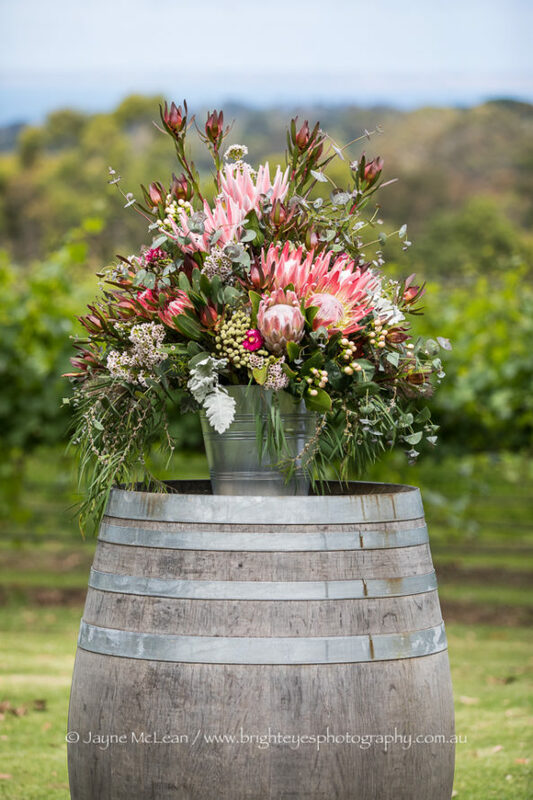 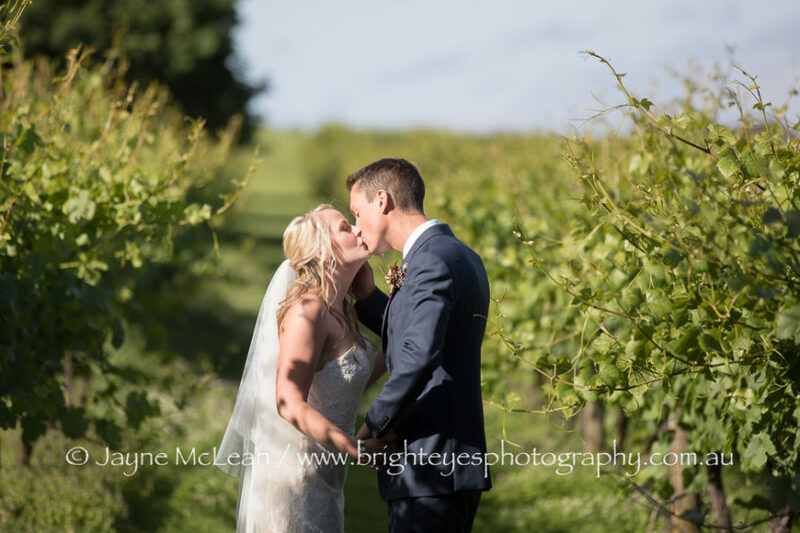 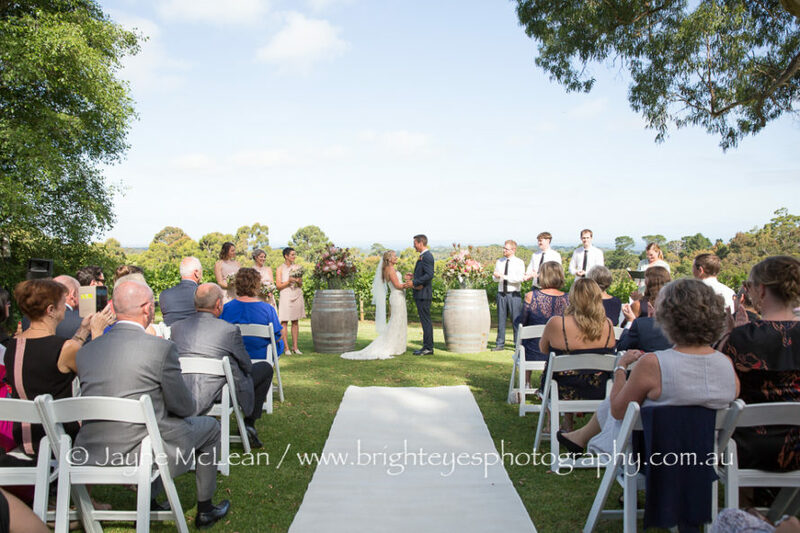 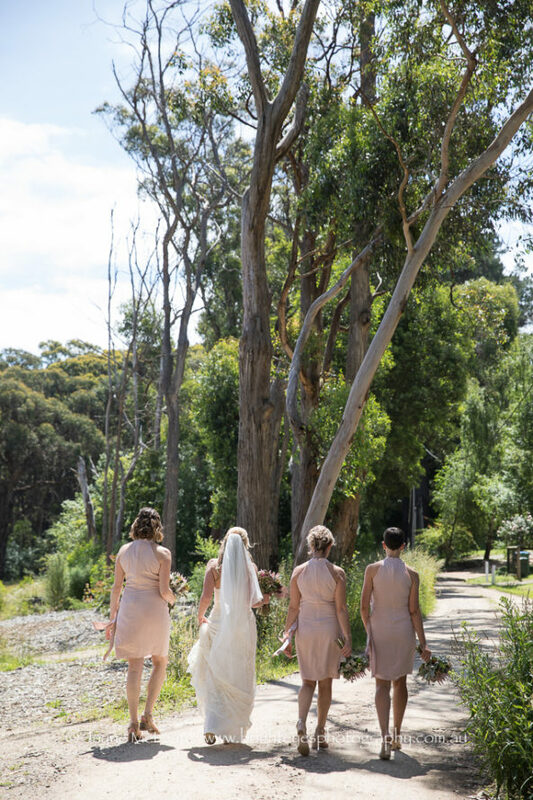 Then the ceremony was at Red Hill Estate which looked stunning on such a beautiful, sunny day – the views over the vineyard to Port Phillip Bay were simply breathtaking. 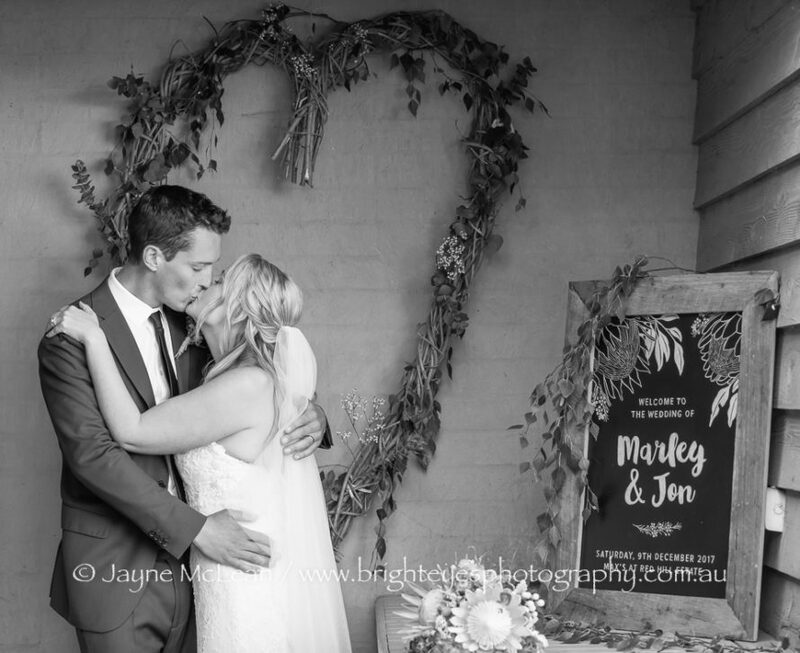 Marley and Jon had a fun-filled reception at Max’s Restaurant and everyone danced the night away. 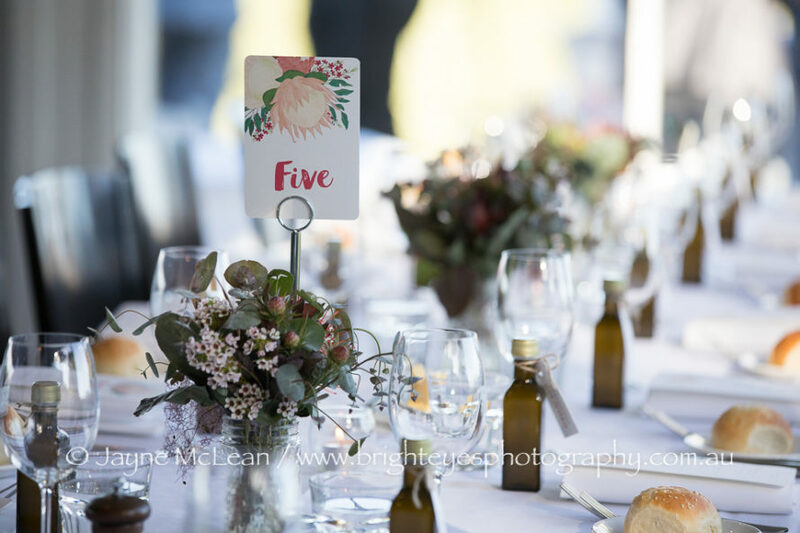 Jon had made his own Olive Oil as the bonboniere and Love Carli created beautiful table cards and menus which all looked amazing. 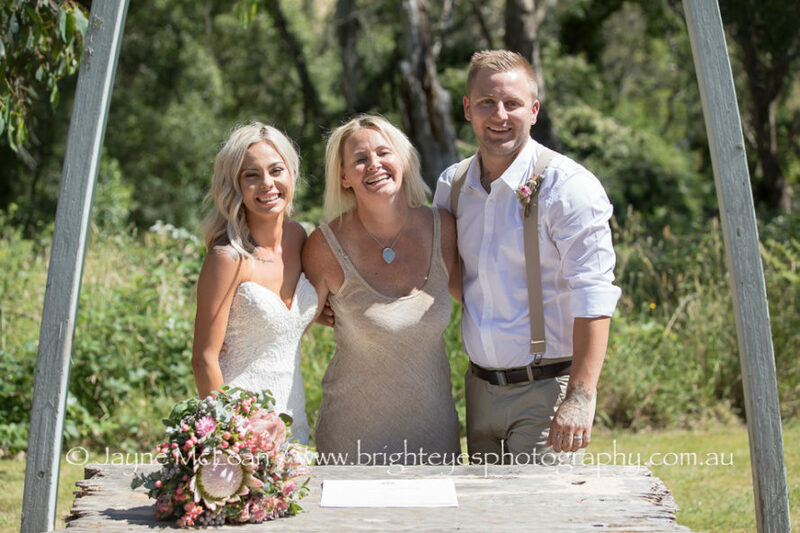 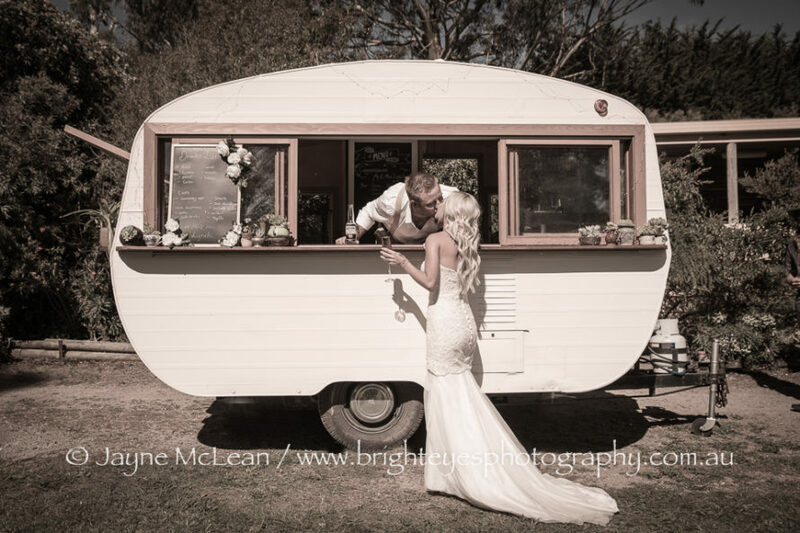 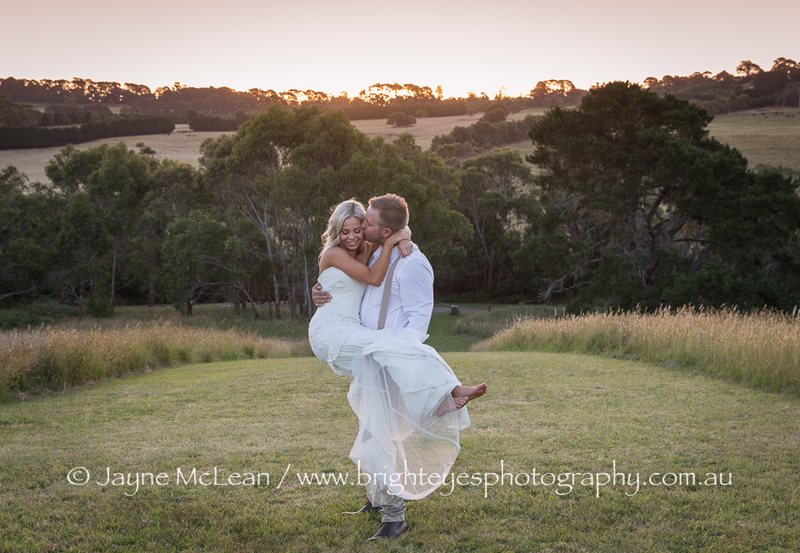 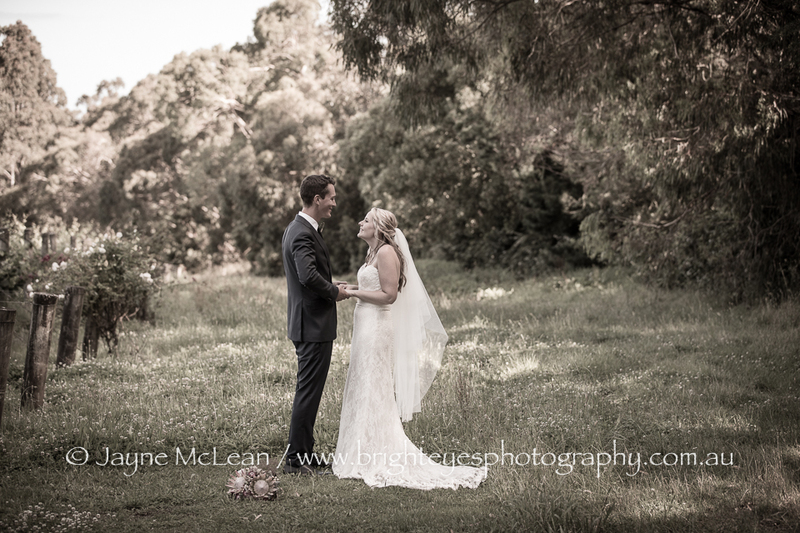 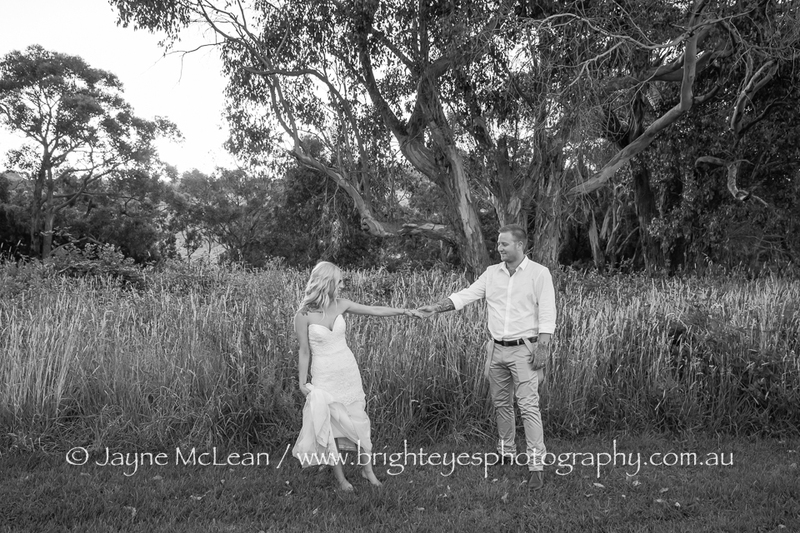 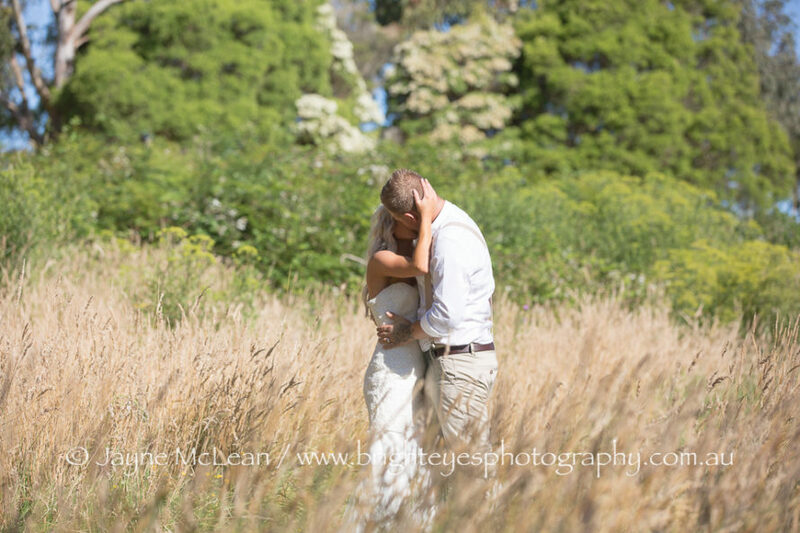 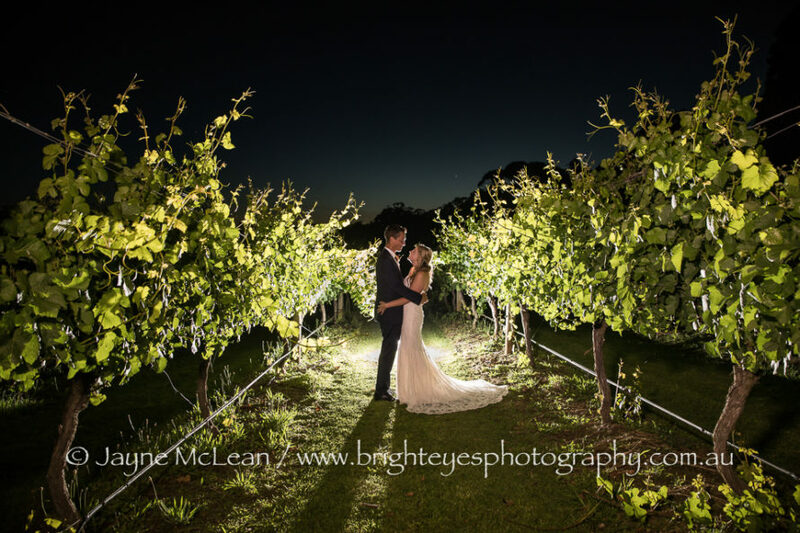 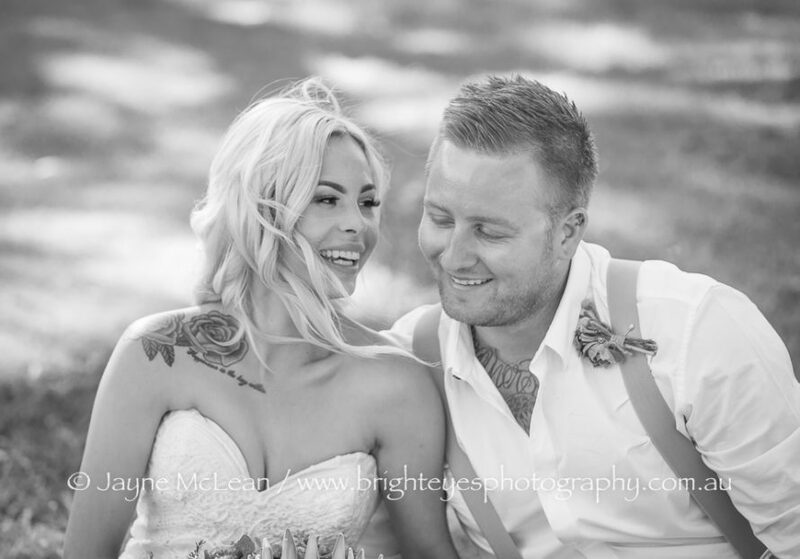 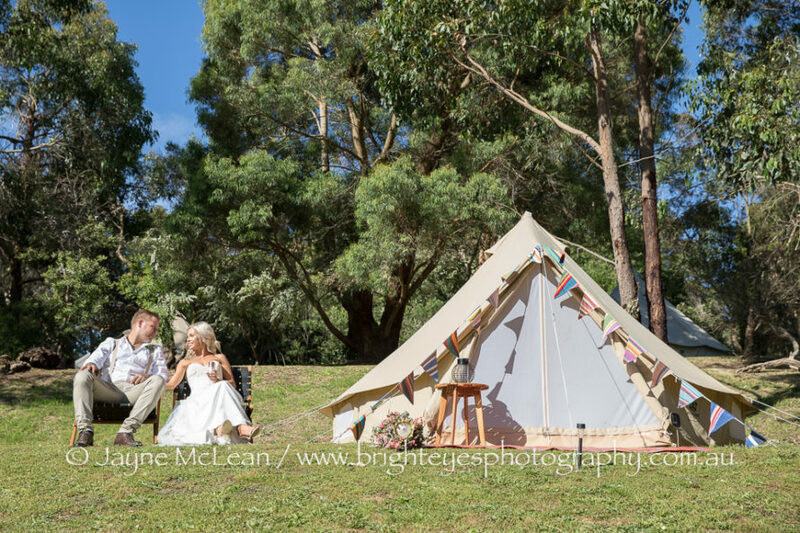 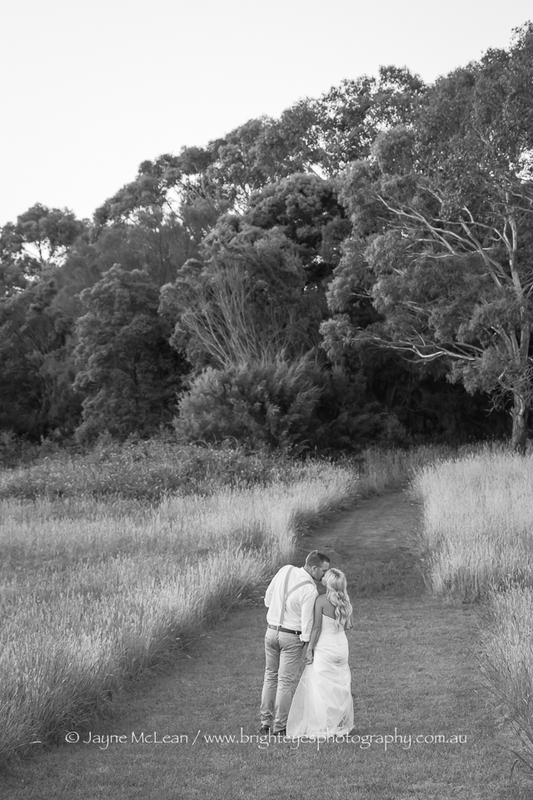 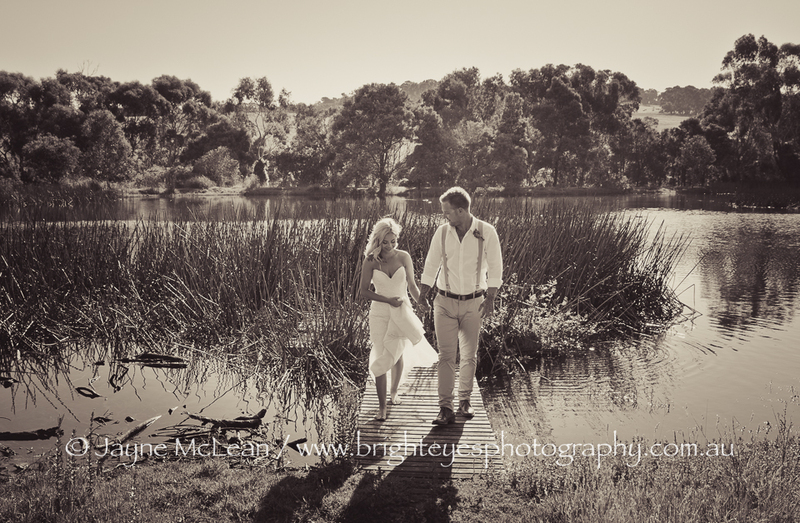 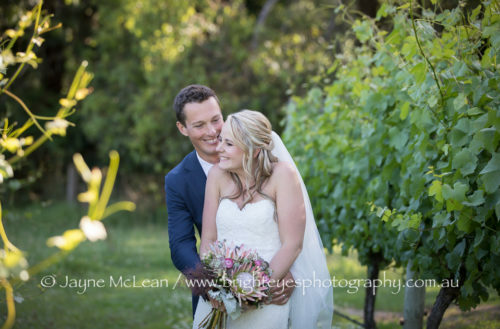 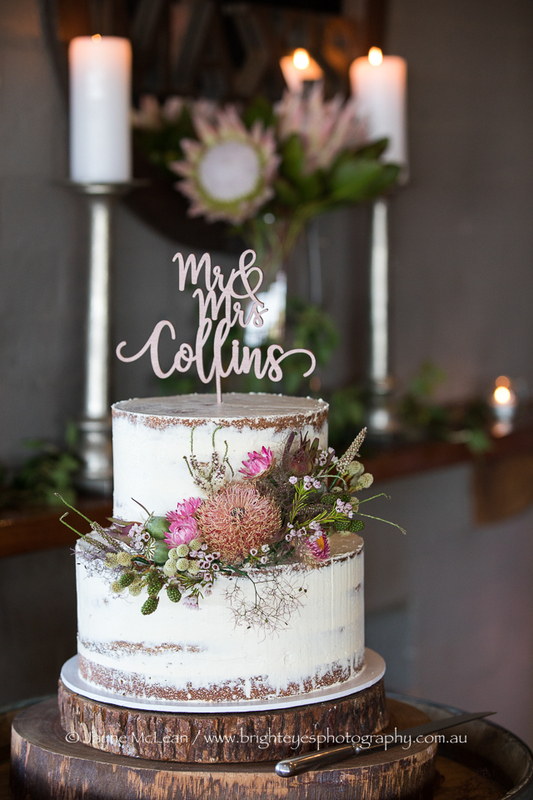 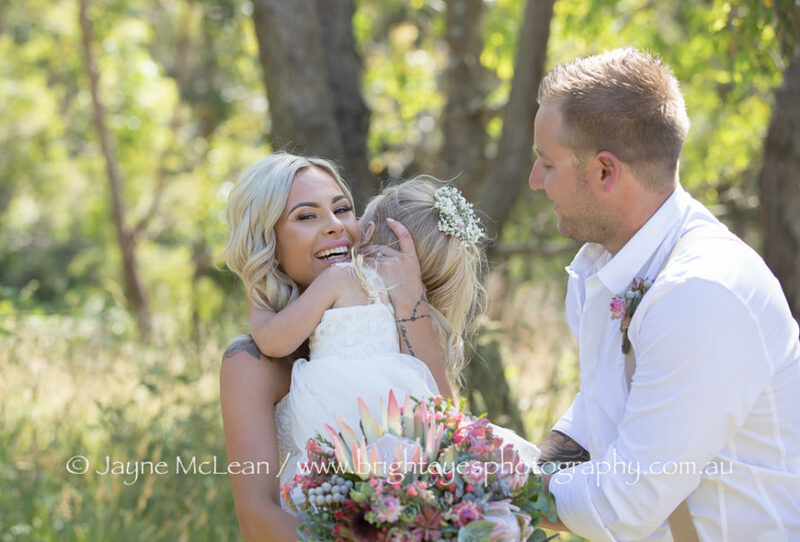 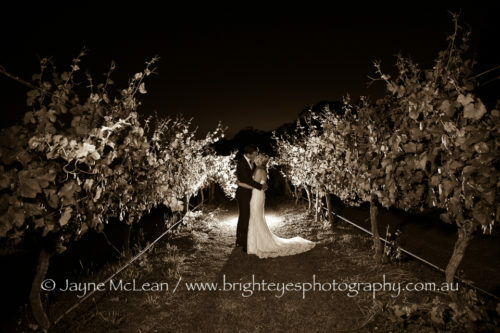 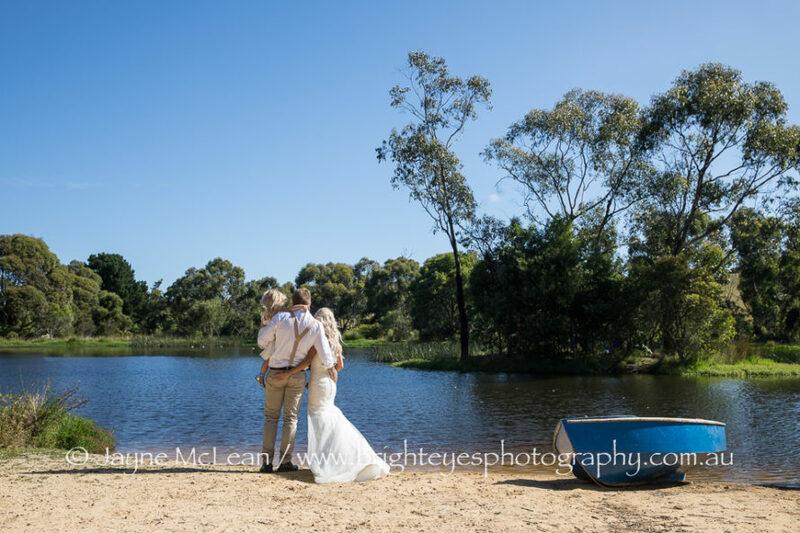 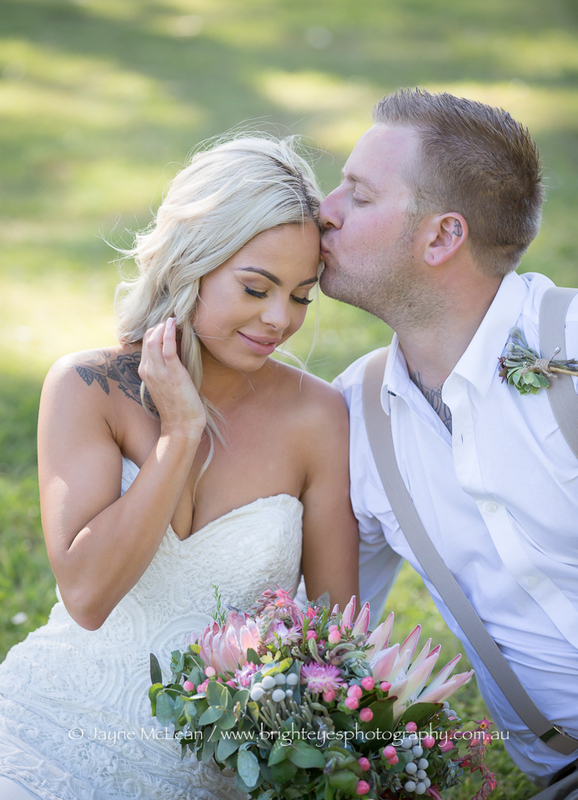 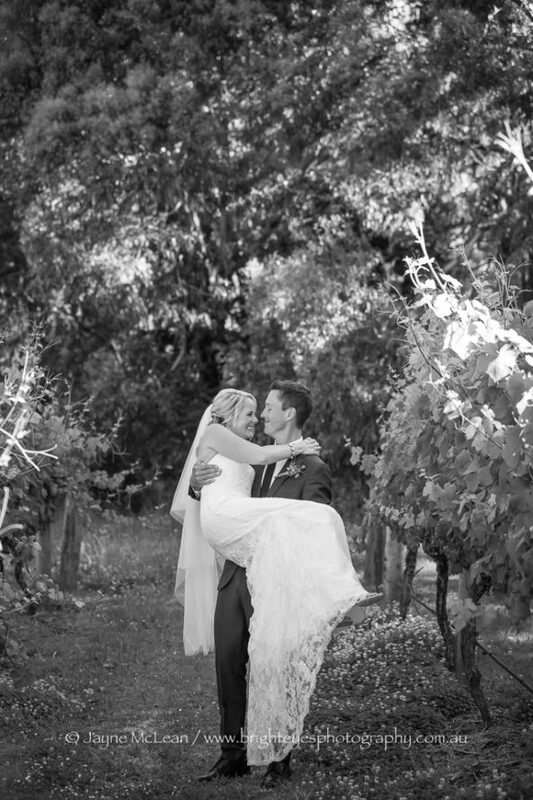 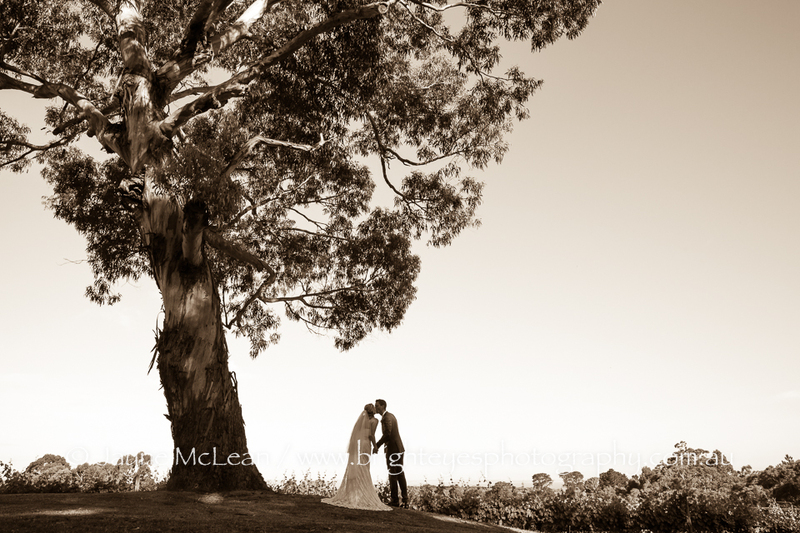 This entry was posted in Mornington Peninsula Wedding Photographer, Mornington Peninsula Wedding Photography, night wedding photos, Wedding Photography, winery wedding and tagged Maxs Restaurant Red Hill, Red Hill Estate, Red Hill Wedding.